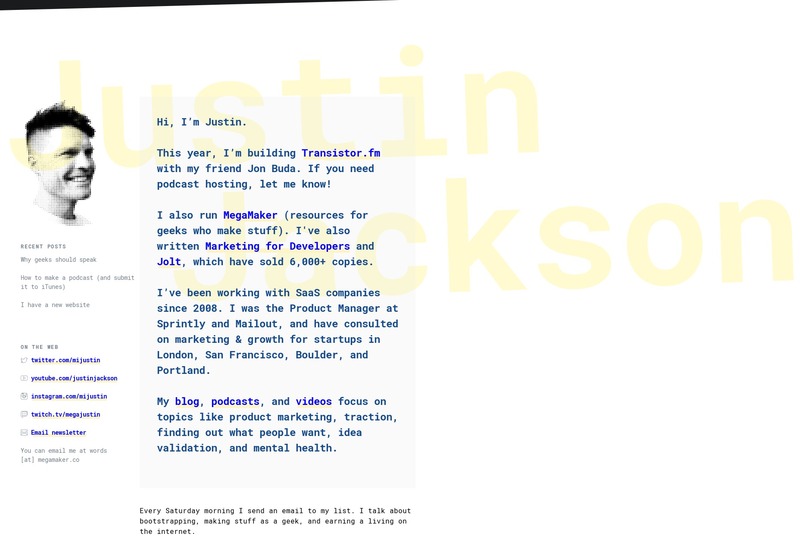 Justin Jackson’s portfolio does that rare and beautiful thing of making use of monospace fonts in a way that doesn’t look too brutalist. Okay, so maybe it looks a bit “grunge”, but it’s grunge and it’s usable. What’s not to love? 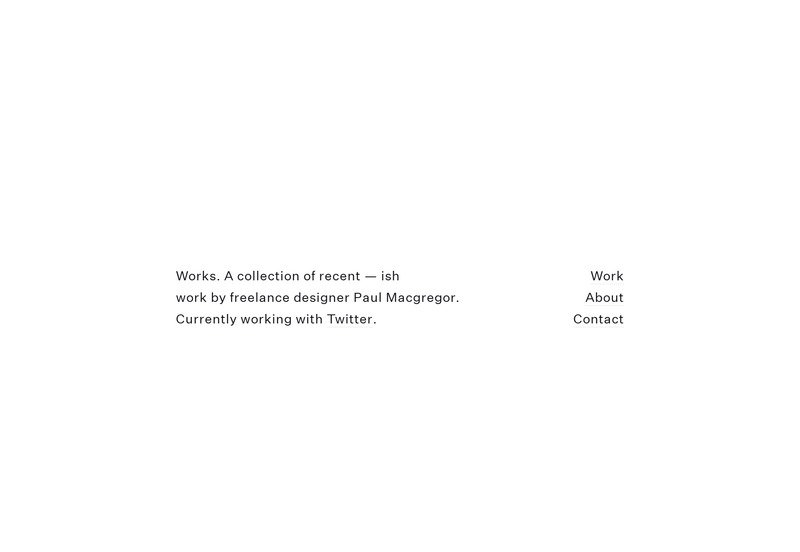 Paul Macgregor’s portfolio brings us to our first (but probably not last!) 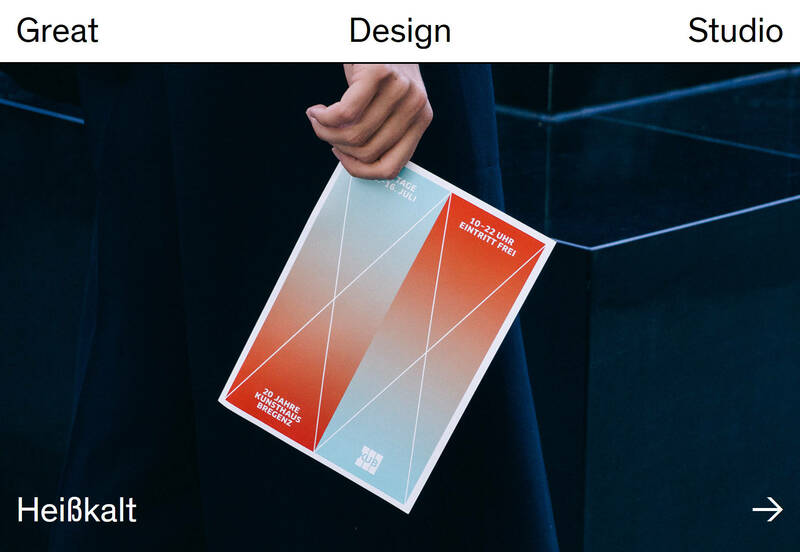 uber-minimal design of the month. And it’s a fantastic example of the principle, too, with all the important information right up front, and quite literally center. Other than my usual issues with JS-dependent navigation, I can find no fault. 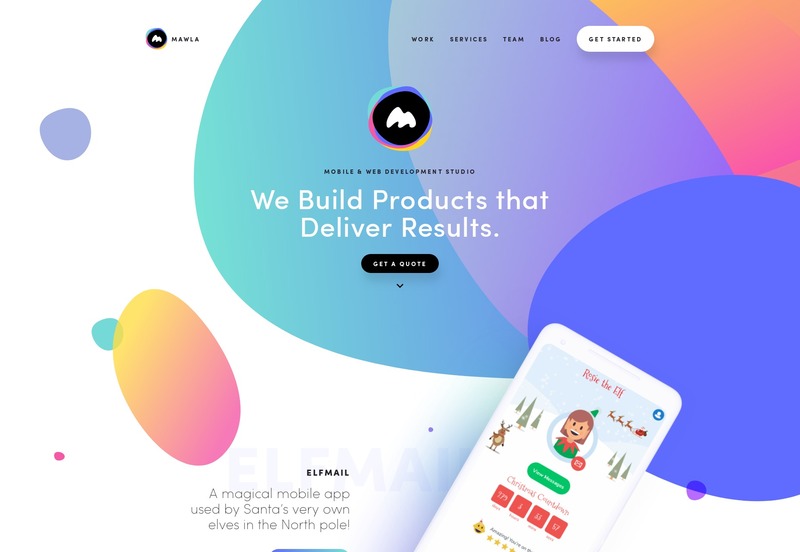 Mawla is an app development studio, and I’m slightly in love with their site design. All the colorful blobs remind me of fliers from my childhood, but better. Yeah, they actually made blobs work. Look, I’m not saying everyone should adopt colorful blobs as a strategy. That way lies madness and/or blindness. But running across these sites that let their designers go a little wild without sacrificing general usability is always nice. 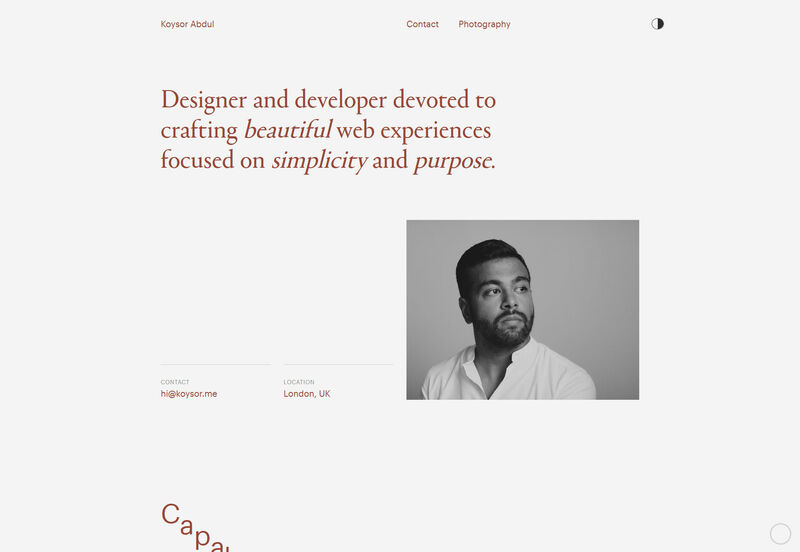 Ethan Tennier-Stuart brings us back down to earth with a very type-and-whitespace-focused design that keeps things simple. This one is an absolute master class in spacing out elements. 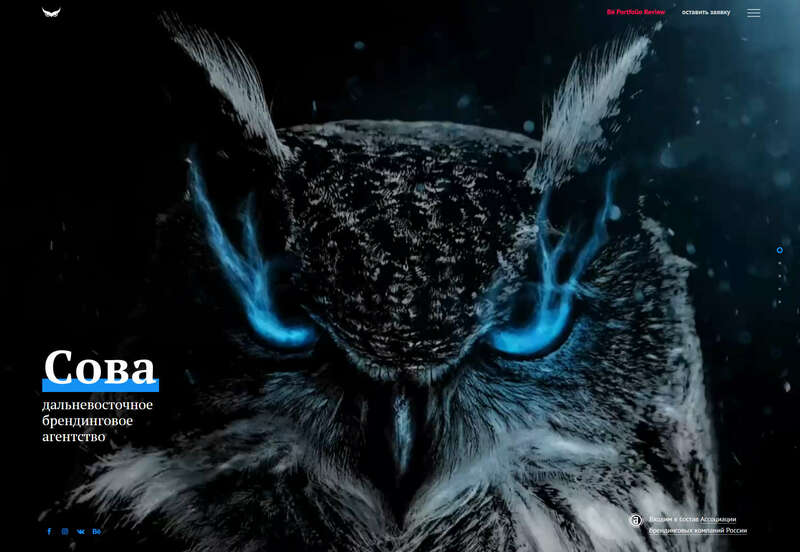 Owl is a Russian design agency, but maybe don’t quote me on that. You know typography is good when you can’t read a word of it, but you don’t mind just staring at it for a bit. Their graphic design skills are impeccable, too. It reminds me of that brief moment in time when photomontages were everywhere. 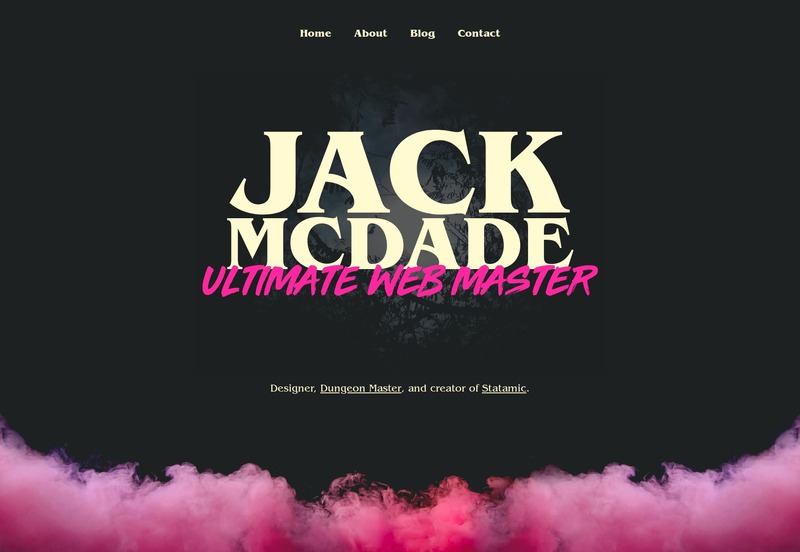 Jack McDade bills himself as the “Ultimate Web Master”, a title as full of nostalgia as his site’s aesthetic. It’s simple, but colorful. I have to say that Jack is pretty confident in his work’s ability to speak for itself. 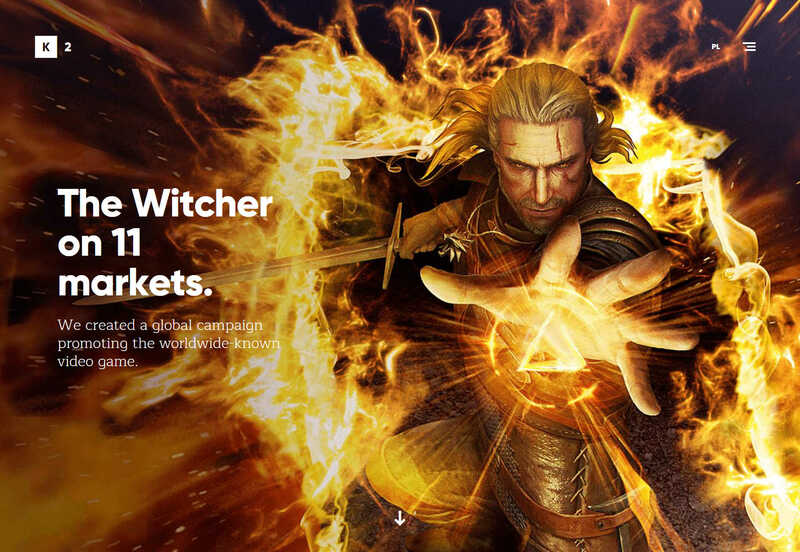 He lists some of his former and current projects in paragraph form, and leaves you to decide whether or not to click. Considering that he built the CMS known as Statamic, I’d say he can afford to be confident. Future Comes is an interesting case. 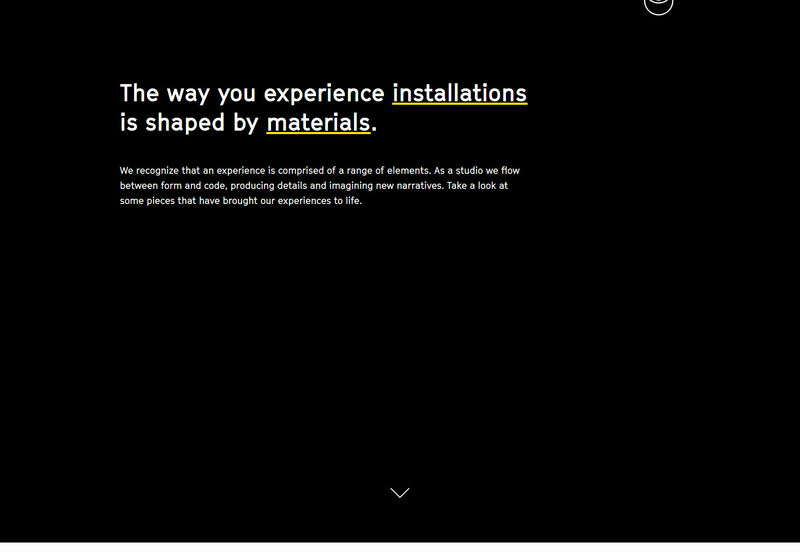 It’s a one-page website, but the studio seems to do a lot of different things. They don’t really bother to explain what they do in simple terms. They assume that if you need what they have, you understand what they’re telling you. 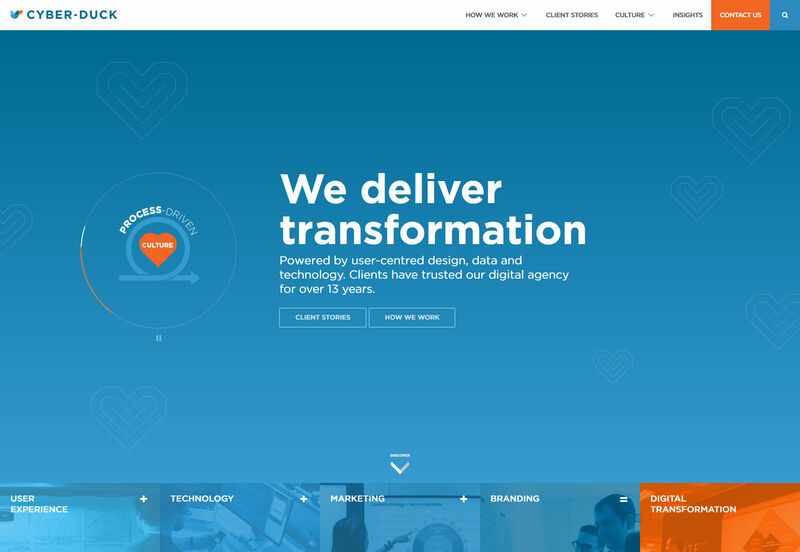 Since it all seems to be fairly technical, and geared toward corporate customers, the site is highly corporate in its aesthetic. There is sans-serif type, subdued reds and blues, fun with gradients, and a little tasteful animation. If the last site whet your appetite for some clean corporate goodness, look no further than Cyber-Duck. It’s simple, it’s solid, it has a ton of blue. It’s strangely comforting. This is how you do it, front-end devs! double take goes for the good-old black, white, and yellow approach that just stand out so nicely. There’s a bit of asymmetry thrown in for good measure. Still not a fan of cursor replacement, but otherwise, this one’s worth a look. 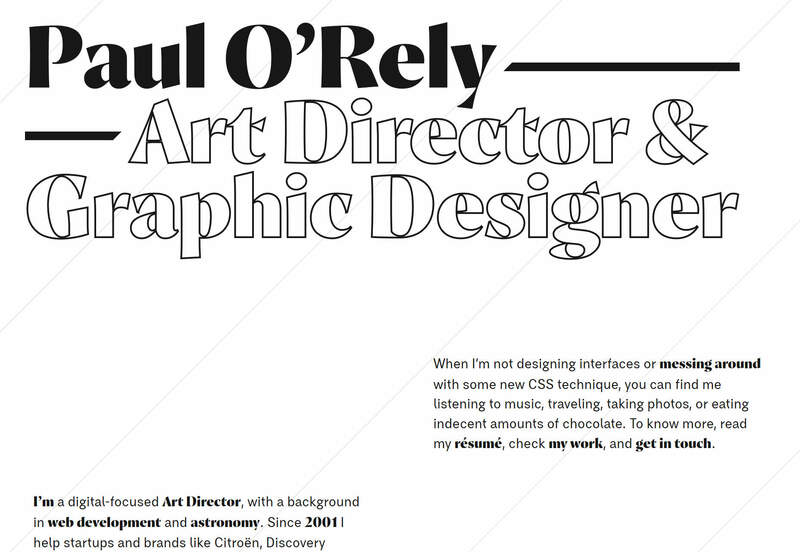 Paul O’Rely caught my eye with those thin diagonal lines, and the highly expressive type in his one-page site. Overall, it creative and stylish. My only complaint is that the contact form really doesn’t look like one. To balance that out, I’ll say that I love the auto-generated ice-breaker feature. And the fact that you can send him drawings made right on the page. That’s pretty cool. 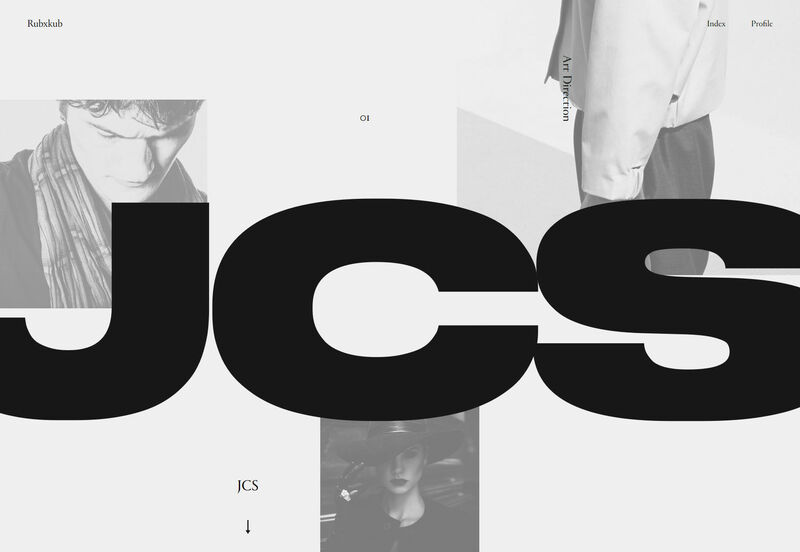 Jack Watkins’ portfolio features some lovely typography, and a generally solid aesthetic. The part I really like, though, is the layout. In a world of mobile-first layout—which is important—it seems like big screen often get underutilized. This site bucks that trend. K2 brings us a design that feels rather “Medium-ish”. For all that, it’s pretty, stylish, and a pleasure to browse. What can I say? 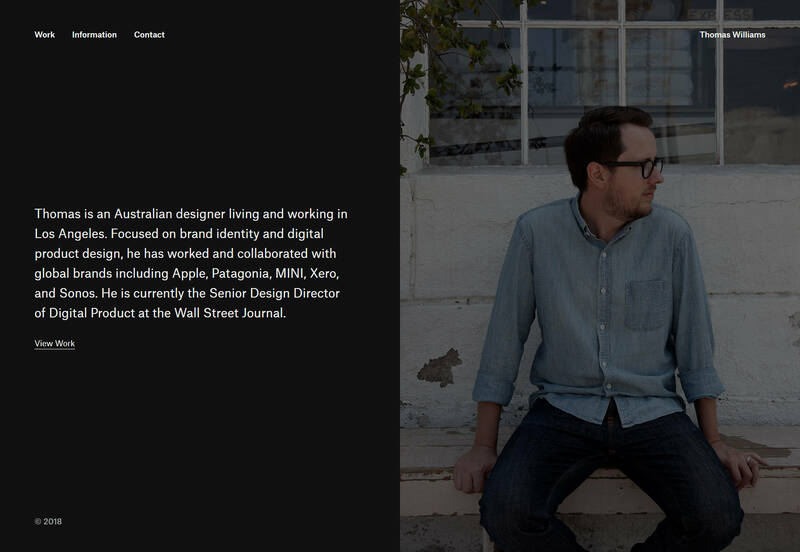 Medium has good taste. Rubxkub brings us back a few months to an age when everything was artistic and collage-ridden. Good times. Don’t take my joking the wrong way, it looks beautiful. It’s some good old artsy minimalism. New Need is a furniture design studio with an emphasis on the modern aesthetic. 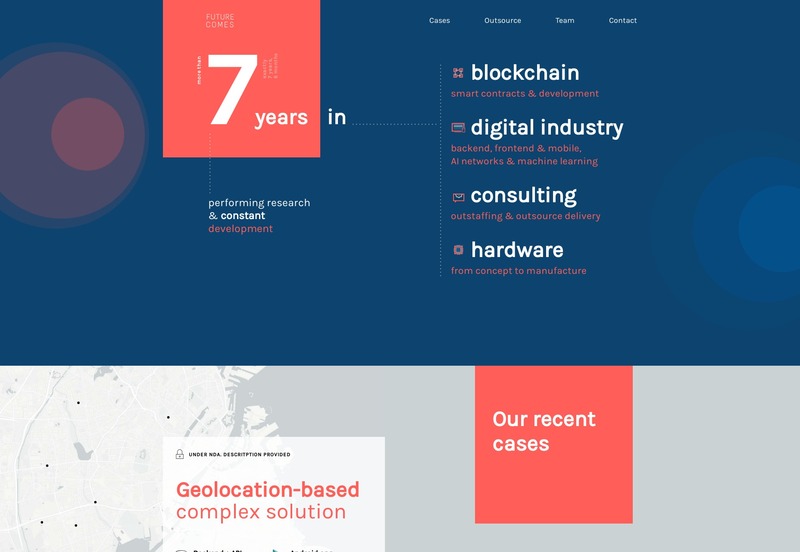 Their website matches their work with a very PowerPoint style design. 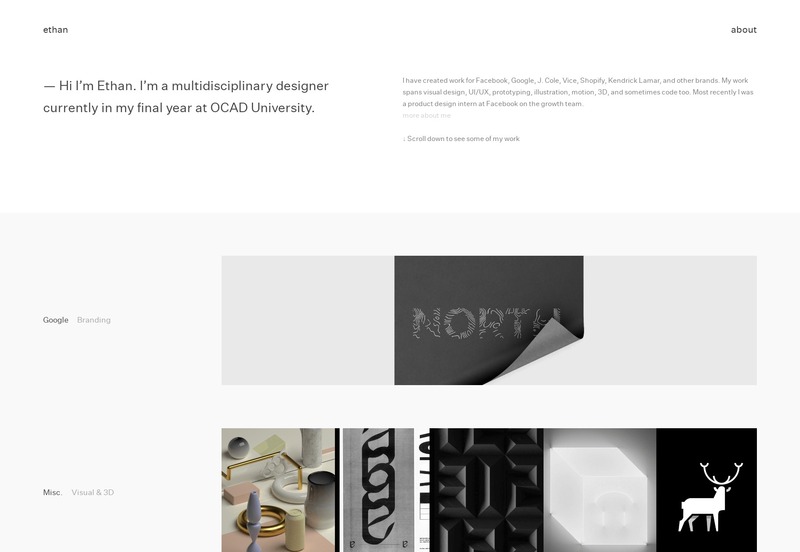 Great Design is a boldly named studio with bold black lines everywhere. It’s just how they roll, apparently. 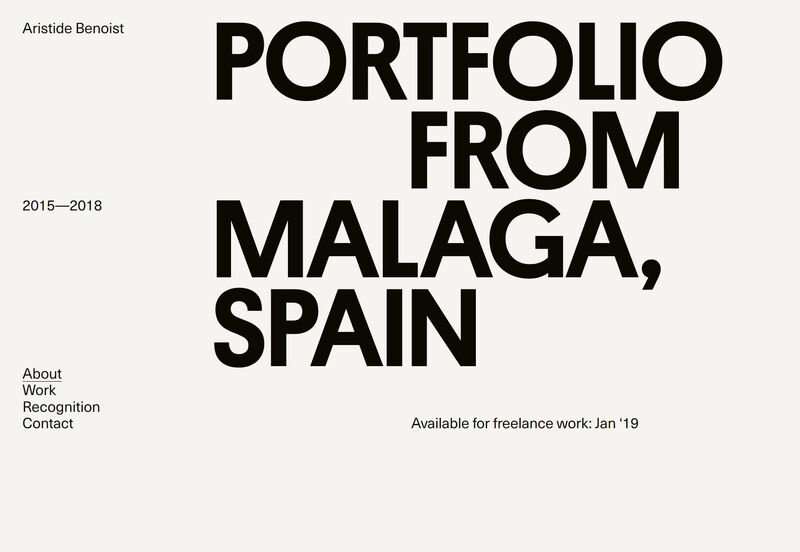 I also like how they used independently scrolling columns in their portfolio. I’m not saying we need to be using iframes for everything again, but I will say that I rather like the look of the thing. For something easier on the eyeballs, look no further than Thomas Williams who comes at us rather gently with a dark design. It’s still trends toward the modernist, but it’s more “solid” than “artsy”. 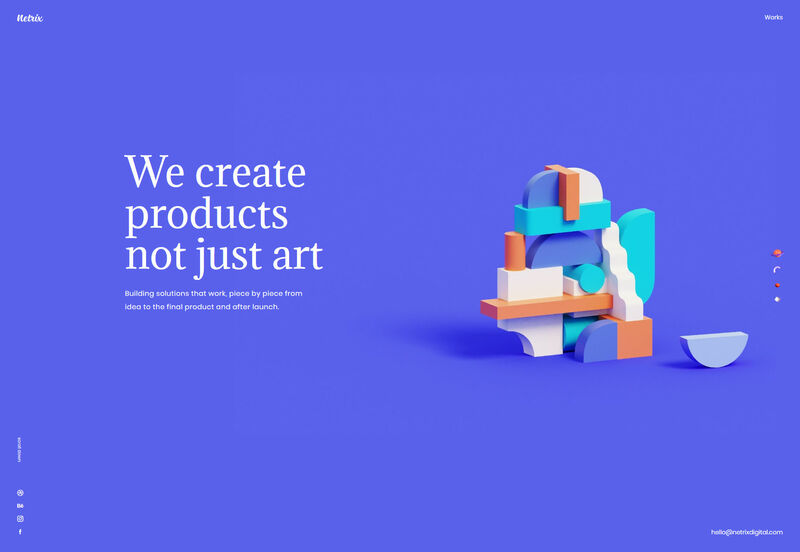 Netrix uses a lot of building-block-style imagery, and the masonry layout of the portfolio will cement that concept in your mind in a slightly more subtle way. It does all of this while looking quite classy. 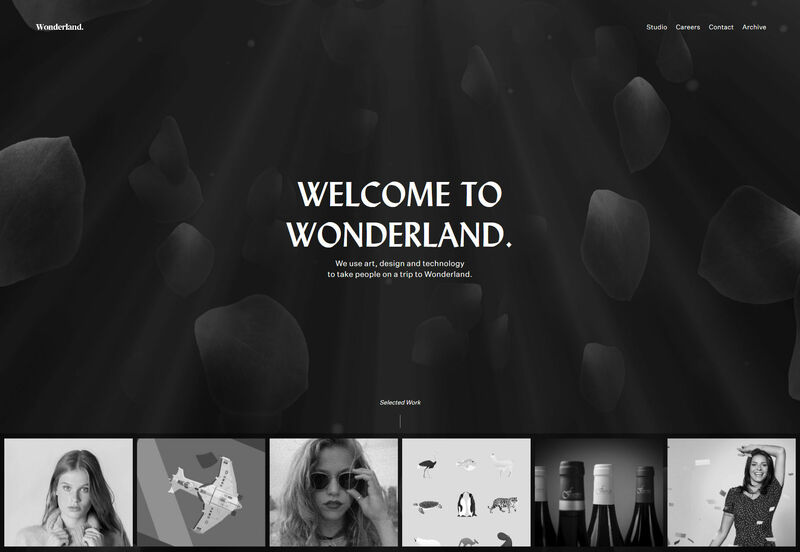 Wonderland is one of those sites that transitions from PowerPoint style to fairly standard minimalism, with a healthy dose of animation all throughout. 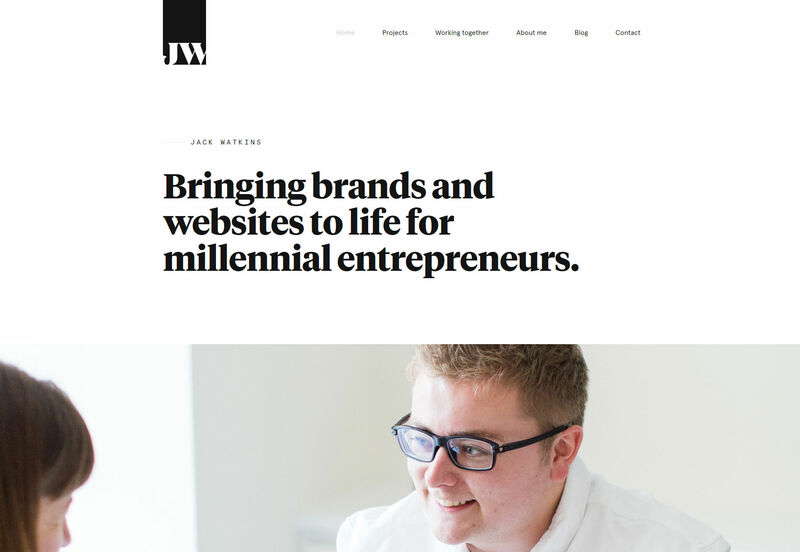 It also makes nice use of the Lydian typeface, which makes a refreshing change from a lot of the usual typefaces. Koysor Abdul’s photography portfolio keeps things simple with earthy tones and a lot of off-white space. Browsing this one is an almost peaceful experience. I love to see the trends I’ve known and named evolve over time, and Aristide Benoist’s portfolio is a prime example of that evolution. It has a touch of both the modern and the post-modern, each helping to smooth out the edges of the other. There’s a little asymmetry, but everything still feels intentionally placed. It just feels good.